Golf / Rules / Play it as it Lies? No! Keep it Fast, Keep it Fun. Keep it Fast, and Keep it Fun! What do the onerous stroke and distance penalty and zero-relief from fairway divots and other bare spots have in common? The answer: The idea that “play it as it lies” is some sacred, invoilate principle that must be maintained at all costs. I’ve spoken with some rules bodies about those particular subjects, and the fundamental underpinning in each case was the notion that, above all, we must adhere to the time-honored tradition of playing the ball as it lies. It’s time to change that tradition. The problem with that concept is easiest to see when the ball lands in a fairway divot. If it were fun to play from bare ground, we could save a lot of money on grass! But the fact is, it is not fun. That’s why we get relief from a cart path, and why it’s not a good idea to hit the ball off the fairway and onto a dirt road. So here’s the situation: You just hit a good drive off the tee, and your ball is in the fairway. But when you get to the ball, you find that it is lying in a bare patch. What the heck? How is that fair? A good shot should be rewarded, not punished. Not only that, on a well-traveled public course, you’re being penalized for what someone else did (or didn’t do), last week. Fair? I think not. Even worse, on the tour everyone tends to hit the same layup area. So the chances of landing in a divot increase. But long hitters hit past those areas — which means that the rules have just handed yet another advantage to the long hitters, as though they needed any more! The principle here is fairly simple: Imagine a pristine golf course, and you are the first player of the day. If there is rough over there, or sand, or a dirt road, fine. If you land in those areas, you take your lumps. But if you are the first player on a pristine course, one thing you don’t have to worry is a divot. Here’s the fairness part: Every player that follows you has the right to play under the same conditions! Think about putting, too. If you’re the first person on a pristine putting surface, you don’t have to worry about ball marks and spike marks. We know it’s unfair if you have to putt over a ball mark someone else left, so you’re allowed to repair the surface of the green. We should apply the same concept to fairways. Only there, it is pretty impossible to fix the surface. You’d have to lift the ball to do so in any case, so bumping the ball over a few inches only make sense. In fact, we can use the principle of “surface repair” to define the nature of a divot, and specify the price of relief. Every cart does (or should) go out with a small bottle that contains a mixture of sand and grass seed. If the area the ball is sitting in is small enough that you can fill it, and it is between the fringe areas that define the fairway, then that area constitutes a “divot”. The price of relief from the divot is simple: Fill in the area! That way, the fairway surfaces are improved, as well as the putting surfaces. And guess what? If the area is so large that you run out of mixture — or you have already run out– then you have done everything reasonably possible to improve the course. Free relief for the rest of the day! Same as the putting green. The game is not fun when you hook or slice your way into jungle-rough, either, or when a bad bounce takes you there — especially when your ball is lost as a result, or when there is no way to take a swing, and you’re too far away from any reasonable surface to take an “unplayable lie”. With the proposed rule changes, at least now the course can mark such areas as lateral hazards, but until they do you’re stuck with the onerous stroke and distance penalty in such cases. If people are ignoring the rules, what good are they? If you play relaxed rules when playing for fun, it doesn’t make sense to record that score for handicap purposes. It just puts you at a disadvantage when you’re playing strict rules in a tournament. As a result of that second point, it only makes sense to record scores you acquired under tournament conditions. But that means your handicap does not necessarily reflect your current level of skill. Instead, it reflects your level of skill at your last tournament. If you’re paying me when I win, you can have any rules you want. But when I pay to play, the game needs to be fun. The game is hard enough. With 19-joints involved in every swing, plus changes in your setup, equipment attributes, the lie, and the weather, there are more than 50 variables that affect the outcome of every shot! That’s why the game is such a challenge. And that’s fine. But there’s no need to be punitive about it. 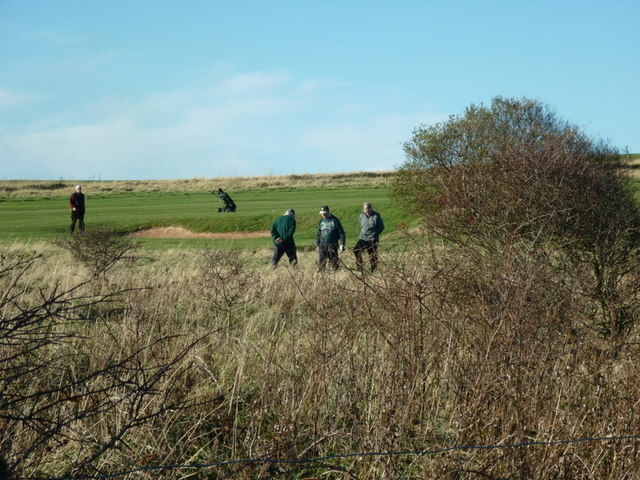 If you’re in an unplayable lie on the fairway, move the ball to where it’s playable, without penalty. If you’re off the fairway and past the fringe with a ball that is lost, O.B., or unplayable, move it to the fringe and take a stroke. And by the way, one stroke is plenty. It’s enough to lose the hole in a match, or drop you out of a tie in stroke play. Sure, 2 strokes is equivalent to “stroke and distance”, but that wasn’t always the penalty, was it? At one point, it was just “distance’. But the right solution is just “stroke”. Why stop with golf???? Let’s apply your same logic to other sports like Basketball, Baseball & Football too. In Basketball let’s Make the Basket 36” wide & 7 feet high. After all why should only people 6’7” tall have the edge. Make the free throw line 6-feet from the basket, after all its free throw anyway. Make it easy to do. In Baseball Move the Center field fence in to 300 feet (More HR means More Runs, More Runs, Means More Fans, More fans Means, More Money to pay Players. It’s a WIN WIN.) Football Use Arena football concepts shorter fields. (say 50 yards.) Wider goal post (Say 10 yards), and the play ends when the Quarterback is touched by an opponent. (Less injures to High Prices players) Get ride of pads and helmets too. This will cut down on hurt player. Because when you don’t have Pads or a helmet your not going to use your head to spear someone. With out pads your less likely to want to run into someone at full speed, or stand in front of a 250 pound running back with a full head of steam that is coming at you. After all Sports is suppose to be all about fun not skill right. In all, there are more than 50 degrees of freedom in every golf shot, including joint movements, setup variations, equipment variations, variations in the lie, and variations in the weather and landing area. No other sport comes close to that level of difficulty. In every other professional sport, we expect standard, good conditions, so we can see the players at their best. But when we watch professional golfers, it’s somehow ok if they land in a divot, and therefore can’t make the ball do what they ordinarily could. And there is a difference between professionals and amateurs. You’re paying me? Have any rules you like. I’m paying you? Keep it fun and challenging, without undue punishment. The question is whether you want to see the game grow, or whether you want to see a continued decline — especially when lack of rainfall and inability to water creates conditions that are less and less conducive to good golf.